Pinecam.com • View topic - Prosperity Plus 10 week Class at Foothills CSL starts 2/10! Post subject: Prosperity Plus 10 week Class at Foothills CSL starts 2/10! "True abundance is not about gathering more things, it’s about touching the place in us that is connected to the divine source of abundance, so that we know what we need in the moment will be provided." Are you ready to live a life of greater prosperity in every way? Take this 10 week class to learn proven spiritual principles to create the life you want. First class is one week away--February 10th from 11:30 am-1:00 pm! 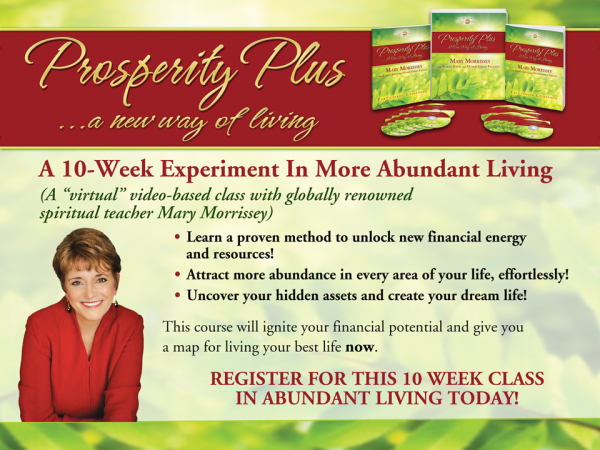 Sign up for Prosperity Plus class at Foothills Center for Spiritual Living today! You do not have to attend Foothills to come to this class. ALL are welcome here! Click here to register! Limited space. Register now! What a wonderful community. How fortunate this community has Reverend Kathy Mastroianni, a member of the Foothills for 25 years.